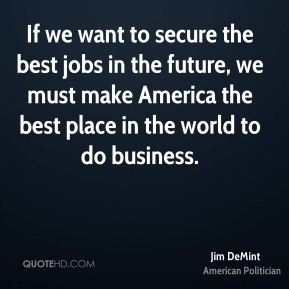 If we want to secure the best jobs in the future, we must make America the best place in the world to do business. 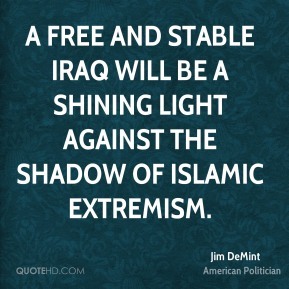 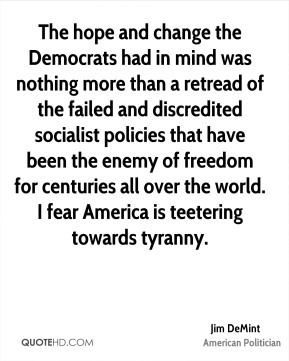 The hope and change the Democrats had in mind was nothing more than a retread of the failed and discredited socialist policies that have been the enemy of freedom for centuries all over the world. 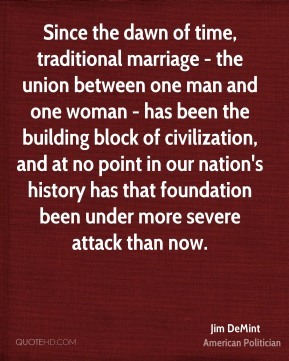 I fear America is teetering towards tyranny. 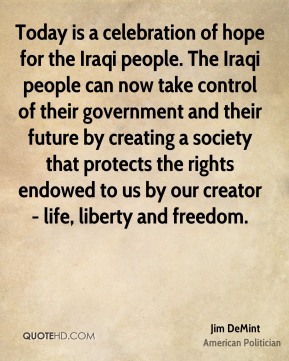 We know from our own history that democratic institutions take decades to mature, and we know from past conflicts that freedom is not free. 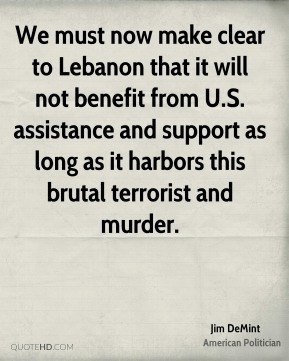 We must now make clear to Lebanon that it will not benefit from U.S. assistance and support as long as it harbors this brutal terrorist and murder. 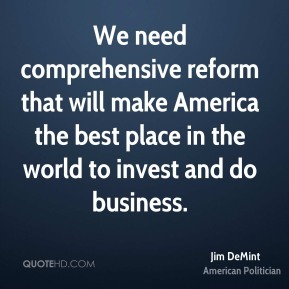 We need comprehensive reform that will make America the best place in the world to invest and do business. 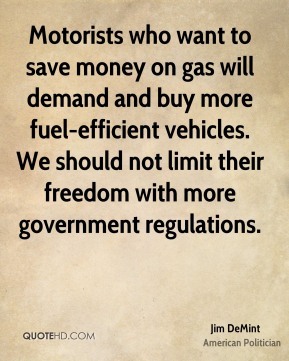 Motorists who want to save money on gas will demand and buy more fuel-efficient vehicles. 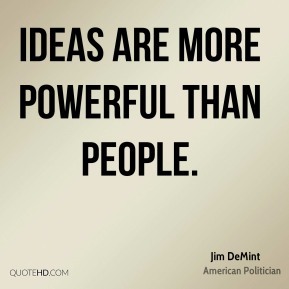 We should not limit their freedom with more government regulations.